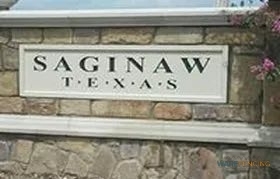 Are you searching for a reliable fence company in Mineral Wells, TX and the surrounding areas? At Ware Fencing, we provide all types of fence repair, fence replacement, and fence installation for residential as well as commercial properties. Our services are designed to help add to the curb appeal and the property value of your home or property, while simultaneously supplying you with a functional addition. We’re here to make all fence visions a reality, no matter what you are searching for. Contact our crew of fence experts now at 817-948-4503 to learn more about our services, as well as your fencing options. Mineral Wells relies on us as a local fencing company for affordable as well as dependable fence repair services. If you need farm or ranch fencing answers, we can help you with that as well, even with horse fencing. If you are looking for any type of home fencing solution, our professionals will carry it! If you are looking for privacy, we suggest cedar, and if you are looking for something cost-effective that will not block your view, aluminum is a fantastic choice as well. As far as security is concerned, you can count on us for iron fences, or even specialty security fencing. Even if you need a customized fence design that you do not see mentioned here, you can count on us for the ideal fence. Wood Fences Your budget will love the variety of wooden fence options we have to offer. Iron Fences If you are looking to improve the aesthetics as well as the security of your property, iron fences are a prime addition. Aluminum Fences Aluminum fencing is ideal for marking your property line without blocking your view, and it is extremely budget friendly. Chain Link Fences If you need a fence that will stand for several years, or even just a few weeks, chain link fencing is an affordable choice. Pool Safety Fences If you have a pool at home, a pool safety fence is a necessity you’ll want to have. Fence Design We even provide custom fence design services, so give us a call to learn more! 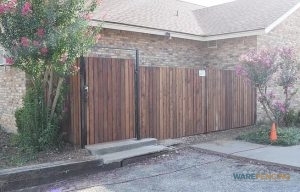 If you’re looking for a fence company in Mineral Wells, TX that you can count on, look no further. Ware Fencing is dedicated to providing unbeatable customer satisfaction, in addition to utilizing top quality materials that are built to last. Our team works diligently to make sure you get the exact fence you are looking for. If you’d like to request your quote, or schedule an appointment, you can call the crew at 817-948-4503! Regardless of what your fence needs are, our team will not disappoint! Cattle Fencing Whichever cattle fencing type you need, our team can help. Horse Fencing Keep your horses safe from harm with the proper kind of fencing. Pipe & Cable Fencing Pipe and cable fencing is both durable and flexible. Barbed Wire Fencing Our barbed wire fence installation is fast and affordable. Split Rail Fencing Count on a durable and affordable split rail fence from Ware Fencing! Electric Fences Keep your livestock safer with a high quality electric fence. Stone Works Our professional stone work can supply you with timeless fences, or even stunning landscape additions. Updated on September 8, 2017 at 2:09 pm by Ware Fencing.